Looking for an alternative to plastic bags to carry home grocery items? All over the world, the consciousness of plastic pollution is raging and you cannot stay aloof. No doubt plastic bags are convenient to carry. But the pollution caused by them is a big hazard to nature, soil, animals, and human health. Choking deaths, contamination of water bodies, and stifling of drainage systems caused by plastic are serious issues too. It is your duty to discard the use of plastic bags and go for environment-friendly shopping and storage bags. Try this exclusive Grocery Shopping Bag. 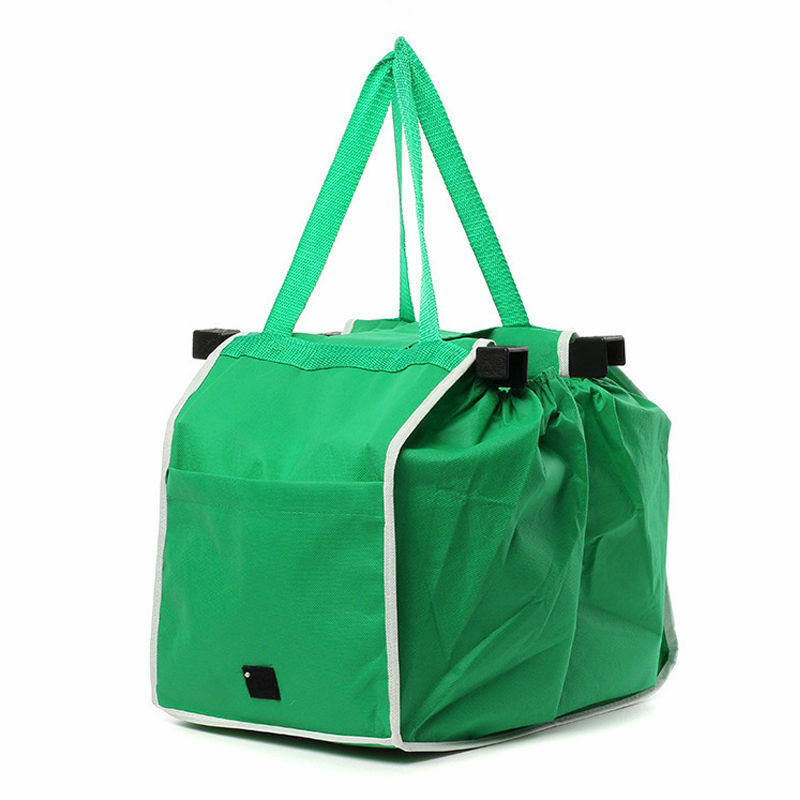 Made from high-quality non-woven fabric, the grocery shopping bag is reusable and durable. Special attention is paid to its eco-friendly characteristics during the manufacturing process. The grocery shopping bag is capable to hold 40 lb worth weight. You can easily clean it by wiping with a damp cloth. Mold and mildew resistant, it can be easily folded and carried. Designed to offer generous space without zips, it has ample pockets to place wallets, papers, grocery list, coupons, and your cell phone. You can easily carry it to supermarkets and fix on shopping trolleys. Apart from grocery shopping, the bag is useful to store knitting supplies, toys, or beach stuff and even doubles up as a laundry bag. Hurry up! Can you afford to delay buying this exciting grocery shopping bag available for a limited discount offer!